Today’s job is simple on the surface. I want to convince you to Buy Low and Sell High – to take advantage of portfolio rebalancing. But if it’s so easy why isn’t everyone else doing it? It must be difficult to get right. What if I told you there are not one but three systems to guarantee that you buy low and sell high? But at the same time, it’s hard to do, because you have to overcome a psychological block in order put the systems into practice. Because in order to Buy Low and Sell High, you need to sell your winners, and buy your losers. What we’re talking about is rebalancing – re-aligning the asset allocation within your portfolio when it gets out of whack with your ideal allocation. This is a technique that is useful for buy and hold investors, particularly those using passive investments like ETFs. It’s less applicable to active investors and traders, though even these people will be wary of letting a single investment get so large that it dominates their portfolio. Rebalancing works better with portfolios that include more asset classes. A simple 60% Equity / 40% Bond portfolio (as used in the examples below) will show the smallest increase in performance. Global, multi-asset portfolios do best (in both senses – as basic asset allocations, and in terms of the boost from rebalancing). Rebalancing is also best done within tax-sheltered accounts (here in the UK, within SIPPs and ISAs) since selling investments in taxable accounts can trigger a tax bill. Back to long-term investors, using a target globl asset allocation in a non-taxable account. Their portfolio will naturally drift away from your target allocation as different investments grow at different rates (some might even shrink from time to time). For example, let’s say that you have a (too) simple portfolio of 60% equities and 40% bonds. Under normal circumstances (not the period since the 2008 financial crisis) equities will gain more than bonds. At the end of a year, you might have 65% equities and only 35% bonds. To get things back on track, you need to rebalance. You would sell 5% of your equities and convert them into bonds. Now you are back to your target allocation of 60% equities and 40% bonds. Before we look at how to re-balance, let’s look at why it’s such a good idea. Rebalancing should also improve your portfolio’s performance, as we will see later. The cost savings are achieved simply by not trading between your rebalancing periods (often a year). Investors have a built-in psychological bias to over-trade and sticking to a rebalancing rule is a simple way around this. That said, there is also a psychological bias against selling a winner and buying a loser. This needs to be overcome if you are to rebalance successfully. In general, the assets which produce the greatest returns are also those with the highest volatility (greatest fluctuation in prices). Left alone, a portfolio will become ever more heavily loaded with these risky and volatile assets. So the volatility of the portfolio will increase. Avoiding drawdowns is achieved through a form of automatic market timing. Market timing has a bad reputation because most investors get it wrong. They buy an asset that is “hot”, after its price has increased. Then when the price crashes, they sell. Then they invest what remains of their money in the next “hot” asset. This is buy high and sell low – the opposite of what we want to achieve. Rebalancing is a different approach to market timing. Each time you rebalance, you are selling an asset that has increased in value, and buying an asset that hasn’t increased so much (and indeed may have fallen in price). The theory of reversion to the mean is that sooner or later, asset prices will return to their averages. UK stocks have historically delivered a real (after-inflation) return of around 5%. So after a period when returns are higher than this, it’s natural to expect a period when they will be lower than this, so that overall the average is maintained. The opposite applies after a period where gains have been small or negative – good times can be expected in the future. Mean reversion underlies the formation of price bubbles in assets, and their eventual bursting. If you believe in mean reversion (and it’s a powerful force over longer timescales) then by rebalancing you have just sold something that is likely to do less well in the future and bought something that is more likely to do well. This is anti-cyclical, or contrarian investing. Rebalancing has been shown to add an average of more than 1% annually to globally diversified portfolios. That’s a lot of money compounded over a 50-year investing career. Now we know why we should rebalance, let’s take a look at how to do it. The simplest way to re-balance is to take advantage of the natural flows of money into (or out of) your pension pot. If you’re still in the accumulation phase (building up your pot to reach the point at which you can retire) then rebalancing is easy. 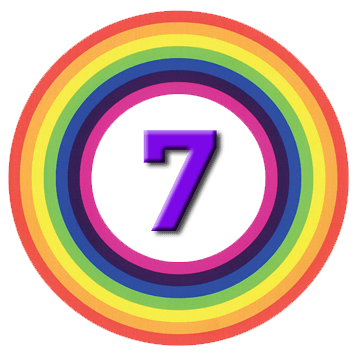 You just use the new money that you add every month or quarter, or even annually, to bring things back into line by buying the assets that you are short of (underweight in). If you’re already retired, then you can just do the opposite – sell part of the investments that you have too much of, in order to generate the money that you need to withdraw each month or quarter or year. Both of these approaches are known as time-bounded or calendar rebalancing. Because you are using the natural flows of money in and out of your portfolio, they are also known as cash-flow rebalancing. Real calendar rebalancing involves a regular review of a static portfolio (one with no cashflows) at fixed intervals. Periods as long as 18 months have been shown to deliver most of the benefits of rebalancing. The third approach is threshold rebalancing. Many people regard this as a more sophisticated system, but for me it has limited application in practice. With threshold rebalancing, you only re-balance when the mis-alignment of your portfolio reaches a trigger value. Let’s go back to our simplistic portfolio of 60% equities and 40% bonds. You might set a threshold for rebalancing of 5%. So if after the first year, equities have risen to 63% and bonds have fallen to 37%, you would do nothing. You keep monitoring until you get to 65% equities and 35% bonds. The potential advantage of threshold rebalancing is that in a steady market you might not need to rebalance for years. You also stand a better chance of choosing the best “buy low and sell high” moments compared with a rigid calendar-based approach. The higher you set your threshold, the more potential you have to take advantage of momentum effects, but you are also taking on more risk at the same time. Work by Stein and DeMuth suggests that the best threshold is 20% of the allocation to an asset. In our 60 / 40 example, this would mean rebalancing when equities reached 72% (or fell to 48%). Interestingly, in a two-asset portfolio, applying the rule to bonds means that you would rebalance when they fell to 32% – at which point equities would be at 68%, still below their own 72% threshold. So for multi-asset portfolios using the Stein and DeMuth approach, the smaller allocations will decide when you have to rebalance. Threshold re-balancing is an attractive idea for static portfolios, but most people will be either adding money to, or taking money from their pension pot. Even if you aren’t directly moving money, you may have cash dividends and money from takeovers that needs to be invested. For most people, the net costs of rebalancing are effectively zero, since the underlying investments need to be bought or sold in any case. This approach can work especially well if your broker has a regular investment scheme (eg. once a month) with reduced commissions, or a regular “cheap trades” day. Sticking strictly to threshold rebalancing would mean sitting on a cash pile until the threshold is reached. This is not a good strategy – time in the market counts. For the few with a static portfolio, threshold rebalancing makes sense, since it avoids “unnecessary” commissions (however you choose to define unnecessary for yourself) and produces a slightly better portfolio performance. Balanced against this is the extra effort of monitoring your portfolio more closely (potentially every day) in order to know when your threshold has been triggered. Some brokers and portfolio services will provide this monitoring for you. But for most people, cashflow rebalancing is the way to go. If you are a perfectionist, you could combine a cashflow approach with a threshold approach, allowing either event to trigger a rebalancing. Using the cashflow money correctly should mean that threshold events are rare, but they will improve your portfolio’s performance even further. 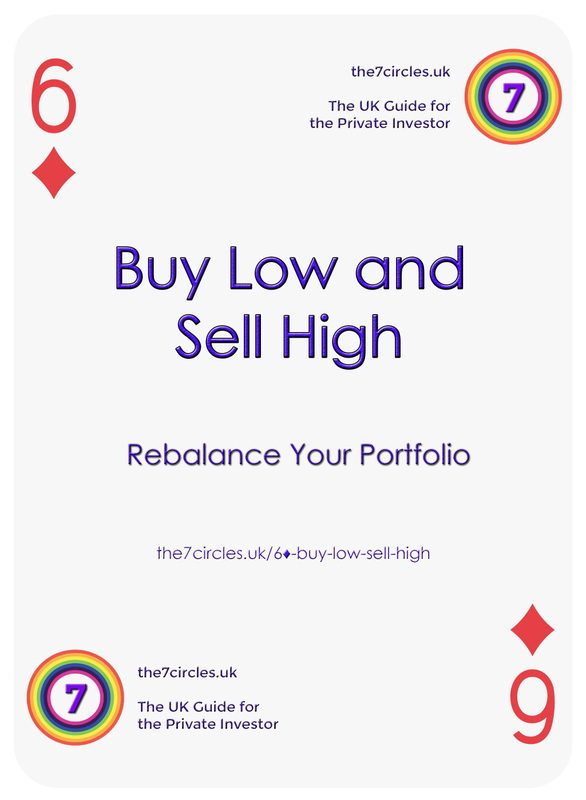 So remember, Buy Low and Sell High – Rebalance your portfolio. Or you will be throwing away 1% every year.